lovely choux dough based topped with chocolate icing filled with rich cream. 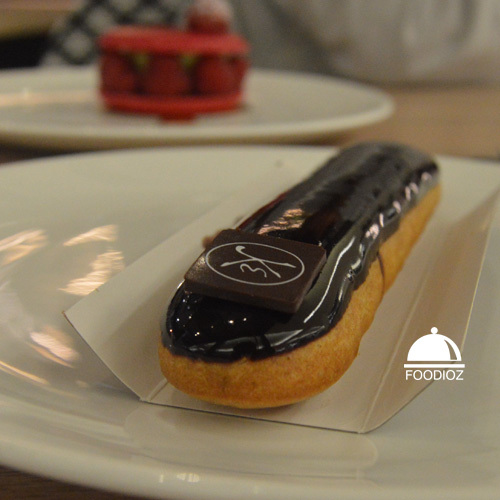 It has lovely texture, filling has rich and creamy taste absolutely delightful. It also perfect balanced with the chocolate topping which is not too sweet. 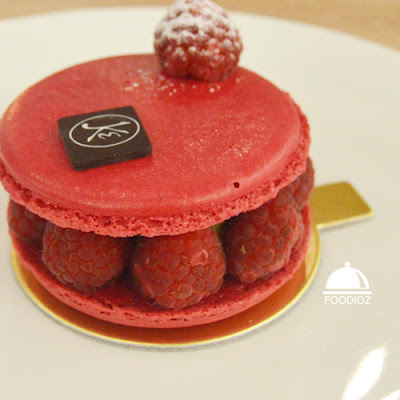 Another beautiful pastry i have is Raspberry Macaron with beautiful such red color and surprisingly it is much lovely here. 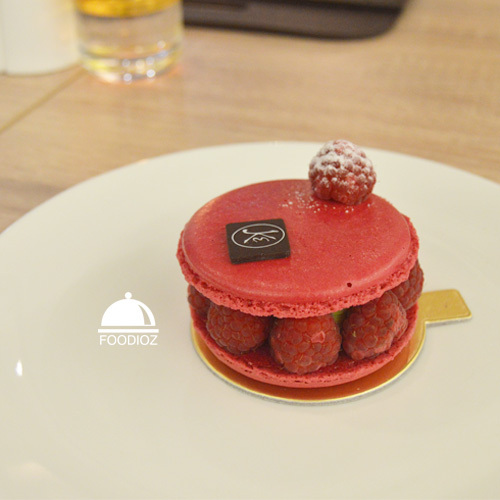 balanced sweetness is giving really good sense and macaron has nice texture. This is should bring much of flavor and delightful.